Nothing brings a touch of artistry to the garden like ornamental pruning, and a series of deliberate cuts can create landscapes and evoke faraway places. All that's needed to recreate the effect in the garden are a sharp pair of pruners, some imagination, and the instruction found in The Art of Creative Pruning. 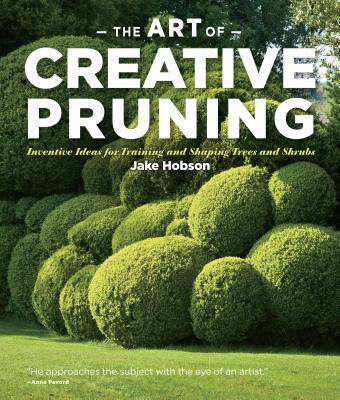 Drawing on both eastern and western styles, author Jake Hobson moves beyond the traditional lollipops and animals and teaches a wholly new approach to ornamental pruning that appeals to modern sensibilities. Picture boxwoods trimmed into whimsical Russian nesting dolls, hedges inscribed with words, and a tree snipped to resemble the toppling tiers of a wedding cake. These are just a few of the unusual ideas featured in the beautifully photographed pages. All the practical considerations are here as well, including pruning to improve a view, remedial pruning to fix problems, and pruning fruit trees to increase yield.